Ruby Chapman Wescott’s line took me back to Jamestowne. 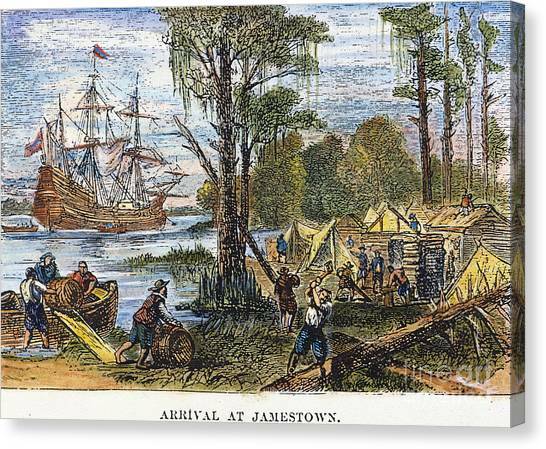 (The original colonial spelling for Jamestowne included the “e.” That spelling is used here when referring to historic Jamestowne). This leads us to Alice, last name unknown. Alice is my 11th great-grandmother. Alice’s first husband was Thomas Pierce. Both were born in England around 1585. They had a daughter named Elizabeth. I need to tell you a little of Thomas’ history in order to understand Alice’s. Thomas either arrived on the “Margaret” which sailed for Virginia on 4 December 1619. Source https://www.immigrantships.net/v3/1600v3/margaret16191204.html or the “William and Thomas” which sailed for Virginia in August of 1618. This ship was a “magazine ship”, containing supplies for the colony. Most genealogists state the “William and Thomas”, but there is no proof as of yet. There were many Pierce families and Thomas was a common name so I am still researching the ship’s passenger lists. In his book, Seventeenth Century Isle of Wight Co, VA, by John Bennett Boddie, states that they came over in the “William and Thomas”. He credits “Hotten’s List” as his source. His information and sources are pretty good so I am comfortable with this one. It is assumed that he traveled with his wife Alice and daughter Elizabeth. Thomas appears to have been a relative of Lt. William Pierce, of the “Sea Venture” (1609), who served under George Yeardley, Captain of the Governor’s Company of soldiers. His daughter, Jane Pierce, was the third wife of John Rolfe, you know, the guy who married Pocahontas. Thomas Pierce established the plantation south of Martin’s Hundred along the upper side of the James River. On March 22, 1622 the Indians attacked throughout the colony, then known as the English Colony of Virginia. In history it is now known as the Indian Massacre of 1622. The colony’s tobacco economy led to constant expansion and seizure of Powhatan lands, which ultimately provoked a violent reaction according to Wood, Origins of American Slavery (1997), p. 72. Thomas Pierce , his wife, child, two other men and a French boy were officially reported as killed at this plantation. At Mr. Thomas Pierce his House over against Mulberry Island. Named by the first colonists for its dense population of wild mulberry trees, Mulberry Island shows up in some of the earliest maps of Virginia as well as the writings of Capt. John Smith. It is not known exactly how, but Alice and her daughter apparently survived the attack and it is thought they were two of the twenty captives that were ransomed from the Indians. The only other of these twenty who have been identified are Mrs. Boyce and Jane Dickenson, both widows of men slain at Martin’s Hundred. These captives were held for about ten months. The following is a paragraph wildly spread on the internet, but has been proven false by many history sites such as Chauco (Chanco) Virginia Indian. The colonists, unable to recapture these women by pursuit, destroyed all of the Indian cornfields in retaliation, reducing the Indians and their captives to starvation. Chanco, the Indian convert, who had given the alarm to Jamestown in advance of the Indian attack, negotiated the release of the captives, in return for promises that the Indian fields would not be destroyed and for beads given in trade. These female colonists, perhaps 20 in all, were virtually the only captives taken by the Powhatans in the uprising. Few details of their ordeal have survived, and information about their lives is almost nonexistent. In fact, we may never know if they shared the fascinating, if often horrifying, adventures of more well-known Indian captives in American history. It is certain, however, that these women witnessed the violent deaths of neighbors and loved ones before being abducted; that they lived with their enemies while the English ruthlessly attacked Indian villages in retaliation; and that they received no heroes’ welcome upon their return to the colony. Alice is again shown in the following records. The name Jackson is from Elizabeth marrying Richard Jackson. From the Jamestowne Society’s website are names of “Qualifying Ancestors”. The Richard Bennett above is not our Richard. Thomas Bennett is ours and he is the father of our Richard Bennett (not listed) who is the son of Alice and Thomas and half-brother to Elizabeth. The internet and genealogical websites are full of misinformation as far as the Richard Bennett’s are concerned. Our 10th great-grandfather is the Richard Bennett, Sr. of Isle of Wight, VA. The other Richard Bennett is of Nanesmond County, VA, the Governor of Virginia from 1652-55. The confusion lies in that both of them have father’s named Thomas who came from England. The governor is about thirteen years older than our Richard and they are both connected to Jamestowne. Thomas Bennett was also a member of the House of Burgesses as he represented Mulberry Island in 1632. Burgess Journals 1619-59, pg. xiii. Records were destroyed in the Civil War so nothing more is known about Thomas except what was found in the will of Anthony Barham, who was one of Elizabeth’s husbands. Because of this will, we can trace his descendants. Richard Bennett, Jr., my 9th great-grandfather, was born June 1, 1644 in Isle of Wight, Virginia. He married Ann, last name unknown, and they had five children. Again, you can read about all five in the above link. Will of Richard Bennett Jr.
Richard Jr.’s daughter, Ann Bennett, married John Coffer circa 1699, my 8th great grandparents. You can continue this line by reading my previous blog post, The Cofer/Copher Families- Part 2. For more information, click on the items below.